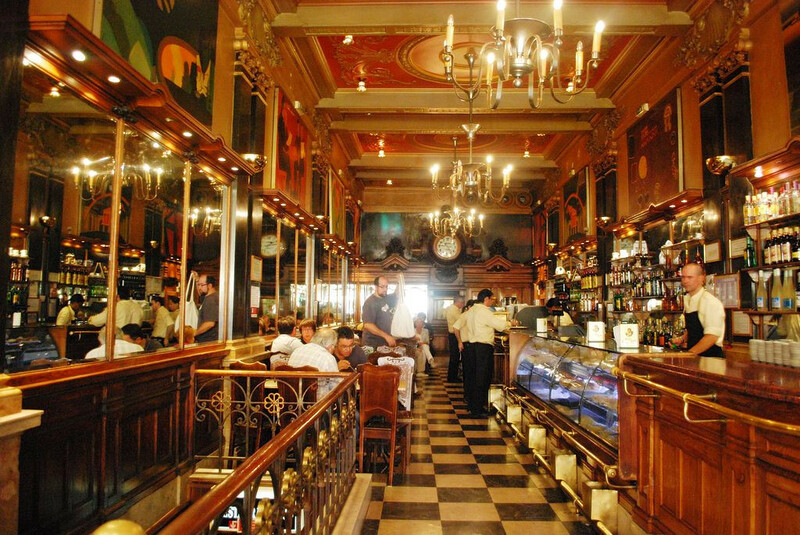 A meeting point for writers, artists and thinkers over the centuries, Cafe A Brasileira is one of the oldest and most famous in Lisbon. Outside sits a bronze statue of poet Fernando Pessoa. Inside, the narrow, stretched-out hall lures you in with black and white marble floors, ornate ceilings, sculpted wood and all manner of gold and brass fittings. Not only is the art deco interior mesmerising; the Portuguese custard tarts and coffee sold here cannot be beaten. Sip on smooth bubbles and dine on sea-fresh sushi – all under the wings of a golden flying lion – in this 18th-century palace. You’ll find the most stunning restored period features, ornate frescoes and design marvels on the upper floor. Drink in those details. The only thing that beats the sensational farm-to-table menu cooked up by Chef Antonio Galapito is the serene space designed by Portuguese group Arkstudio and Marta Fonseca. Once a factory taken over by plants, the super-high ceilings have been revitalised and re-decorated with fresh, vibrant foliage. Throw in rope-like brass pendant lights with exposed bulbs, marble, glass and warm woods, and you’ve got yourself a Scandi-design dream. Portugal is abundant in colourful and creative pottery. 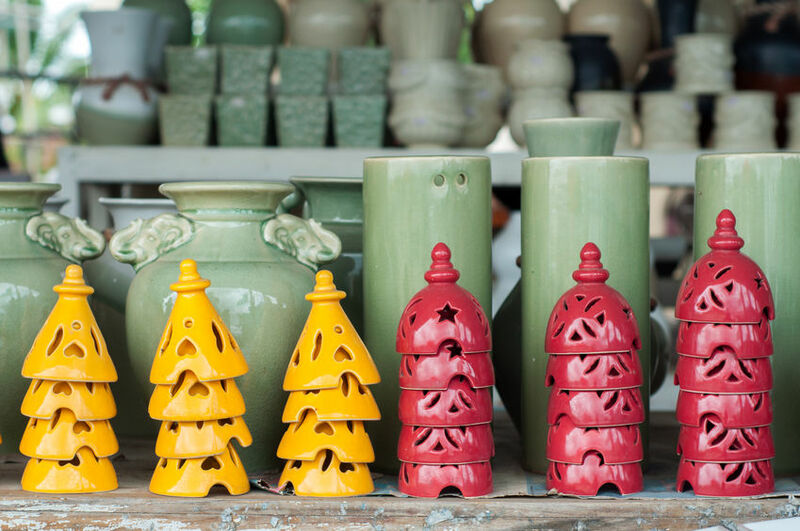 For a great deal, head to this quirky store and lose yourself in a world of gorgeous ceramics. From bowls painted to look like carved-out watermelons to teapots topped with quirky frogs, all pieces are sold by the kilo. Pick a souvenir that shows off the dazzling Lisbon packaging by taking some tinned sardines to the checkout at this downtown family shop. 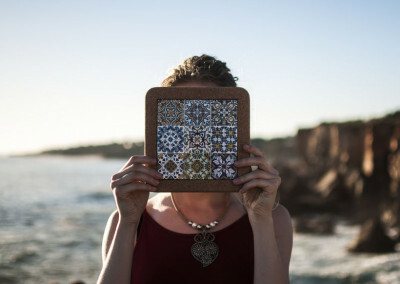 The design work is so artistic and varied, you’ll probably want to frame your tins when you get home. From luxury furniture to minimalist footwear, make your way through an eclectic array of independent brands in this Arabian shopping palace. Stores flow from one to the other around a breathtaking central staircase, showcasing unique products from Portuguese designers. Even if you’re on a budget, the converted Moorish building is worth exploring for its architecture and design alone. Step out of an 18th-century townhouse – filled with romantic boutique design features – and fall straight into the National Ancient Art Museum. It’s a culture vulture’s dream. From Basilica da Estrela to Belem Tower, so many local attractions are right on your doorstep. If you’re staying in, take tea and savour a fresh breakfast in the hotel garden, or watch the sun lower its head behind the Tagus from the brilliantly bookish terrace. Bag yourself a room in a historic wonder – this award-winning building has been expertly brought back to life without losing original design elements. The eye-catching blue facade, hefty wooden doors with solid iron work, Pombaline tiles and veranda railers have been carefully restored, while the hotel’s exterior design features have been conserved in line with the glorious Pombaline age. From the cork floors to the art deco light fittings, every inch of this Lisbon hotel is seeping with 1940s glamour. Its designer was famous Portuguese modernist architect Cassiano Branco, whose other projects include theatre Coliseu do Porto and theme park Portugal dos Pequenitos. 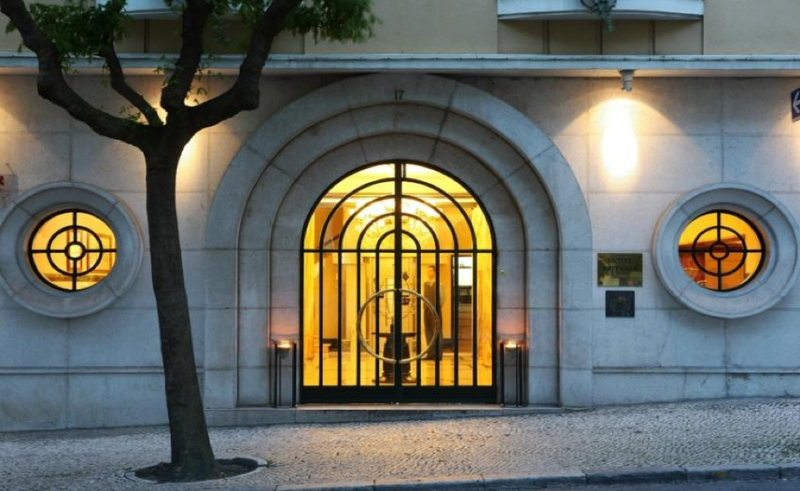 You can feel the soul of the designer – and the era – the moment you arrive at its door, on a peaceful street alongside Avenida da Liberdade. Within a medieval castle village in one of Lisbon’s oldest districts, this Alfama-based historic hotel feels more like the fancy home of a very rich friend. Light and airy, with funky features and details, it has a noble patio (complete with peacocks), zen-like chill areas and over eight centuries of history and design to marvel. 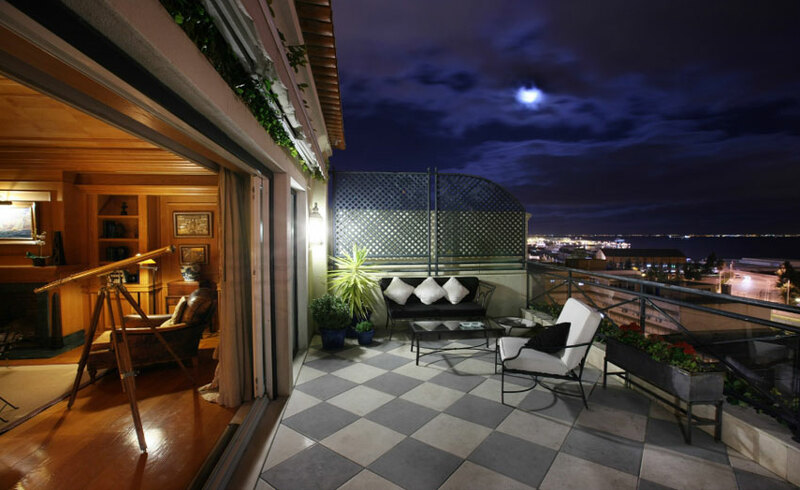 Sitting in the cosy terrace, it’s hard to believe the tourist hustle of Avenida da Liberdade is situated alongside this homely Lisbon hotel. The same family have welcomed guests into its doors since 1954, providing rooms bursting with character, without losing modern comforts. Design lovers will especially appreciate the lounge’s adorned ceiling.